This delightful self-catering holiday cottage in Broad Haven, Pembrokeshire, is situated off a small road just a few minutes walk from the beach. An ideal base from which to explore the stunning National Coastal Path and neighbouring villages of Solva, Dale, Porthgain and the City of St Davids. This cottage is situated just a few minutes walk from the beach. Kitchen: Equipped to a good standard with dishwasher, washing machine, fridge, electric oven/hob and microwave. Lounge: With 2 sofas, electric feature fire, TV with free Sky Channels, DVD with a selection of DVD's and Wifi (the local village shop also has a DVD hire selection). Dining/Snug Area: With table seating up to 4 guests, easy chair and open fire. Bedroom 2: With twin beds, sofa and bedside cabinet. Bathroom: Modern and decorated to a good standard with bath, separate shower cubicle, sink, WC, shaving point, a ceiling mounted extractor fan and heated towel rail. 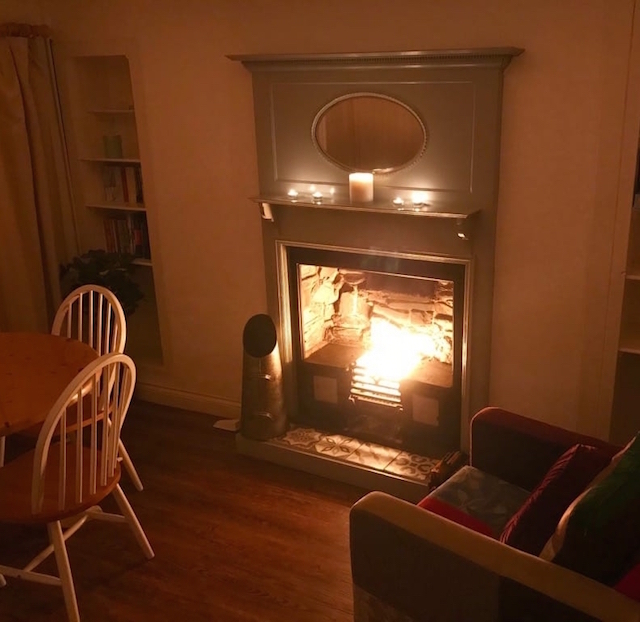 The cottage has electric heating plus an open fire in the dining/snug area. The front garden has a bistro set and a lawned area for children to play. All bed linen and tea towels are provided and can be changed for a 2-week booking if required. Towels can be hired at £4 for 1 x bath and 1 x hand towel. Although guaranteed parking is not provided at Cosker Cottage, there are 3 options. One is to park on the road anywhere from the village hall down or alternatively, you can park Trafalgar car park just at the bottom of the road. The final option is the pay and display car park opposite the beer garden of the Galleon Inn, space is not guaranteed. Access to the bus, shop, restaurants, seafront, and beach are a five-minute stroll away and the surrounding area is a total delight. Cosker Cottage was a comfortable, cosy spot in a good location in Broad Haven - within walking distance to Little Haven and very close to the beach. The kitchen and living room were spacious and beds were very comfortable. Recommended! A lovely cottage in a perfect location for visiting the beach and the local shops and eateries.